Soups and stews are consistently your most-loved recipes on Occasionally Eggs, especially at this time of year, so I’ve rounded up 18 of my favourite cold weather soup recipes for you. I’m talking ultra cozy, low effort recipes that make great leftovers (so you can cook less often) and feed a crowd, if you want to. 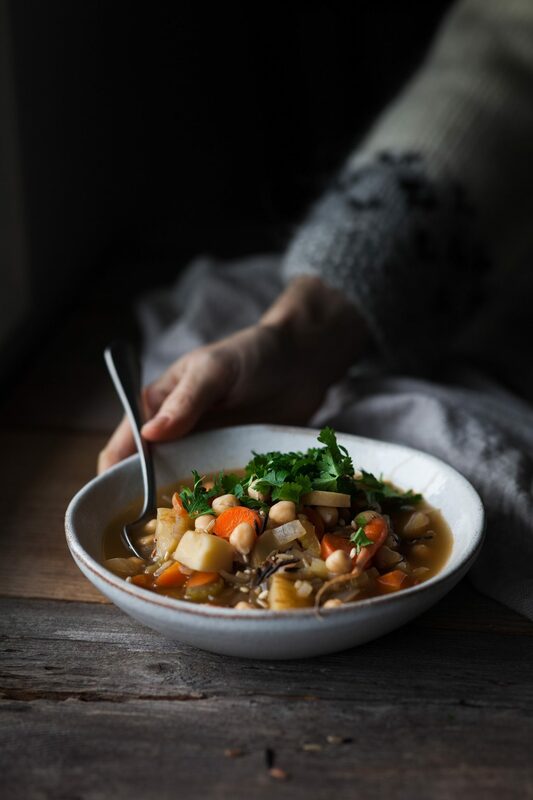 Soups are the most flexible and easy way to use or stretch what you already have in the house, or maybe this will inspire you to pick up some of these ingredients next time you’re at the grocery store. Freezing a jar or two of soup from each batch you cook is one of my top tips – then if you know you’ll be out and about all day or home late, take out however much you’ll need in the morning, and then toss it in a pot to heat up when you get home. It’s a low stress lifesaver and a way healthier option than most equally quick alternatives. Canning jars are great (like Ball or Weck) but I usually reuse empty peanut butter or other jars and have never had one crack. I swear, do this and you’ll be so happy one day when you remember that you have a nice serving of soup in the freezer and don’t have to come home and cook! 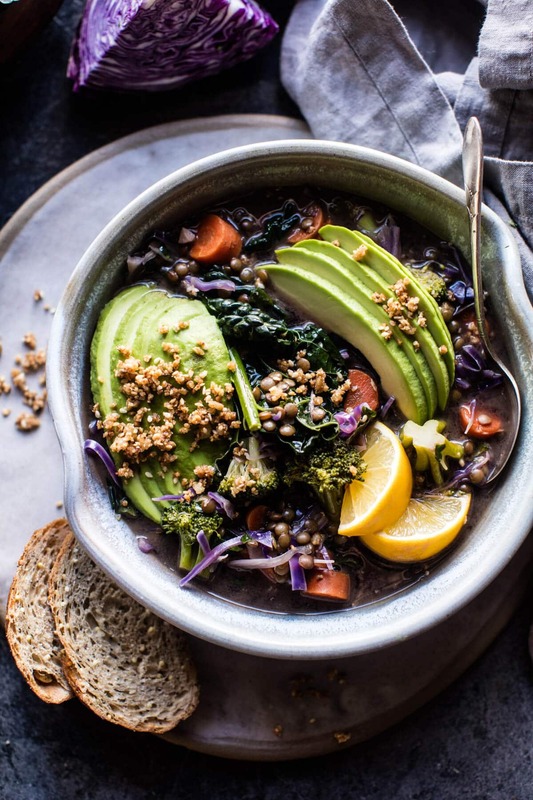 If you’re looking for some more winter recipe ideas, here are 20 vegetarian dinner recipes for winter (also including some soups), 16 healthy winter breakfast recipes, and my seasonal winter archives. This is at the top of the list for good reason – it’s an all-time favourite, needs a handful of standard pantry ingredients, and only takes about half an hour from start to finish. 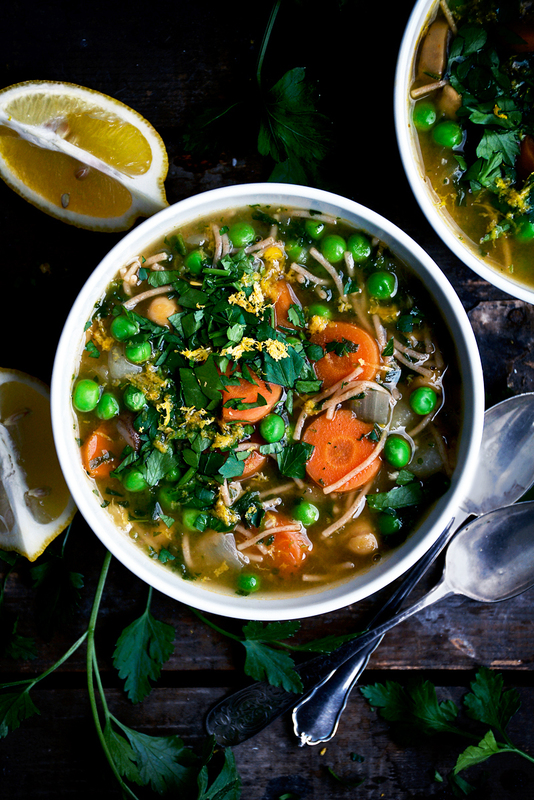 The ultimate cold weather soup recipe for when you’re stormed in and have no idea what to make! Get the recipe here. So this isn’t dairy-free as is, but these are classic flavour combinations, and for good reason. 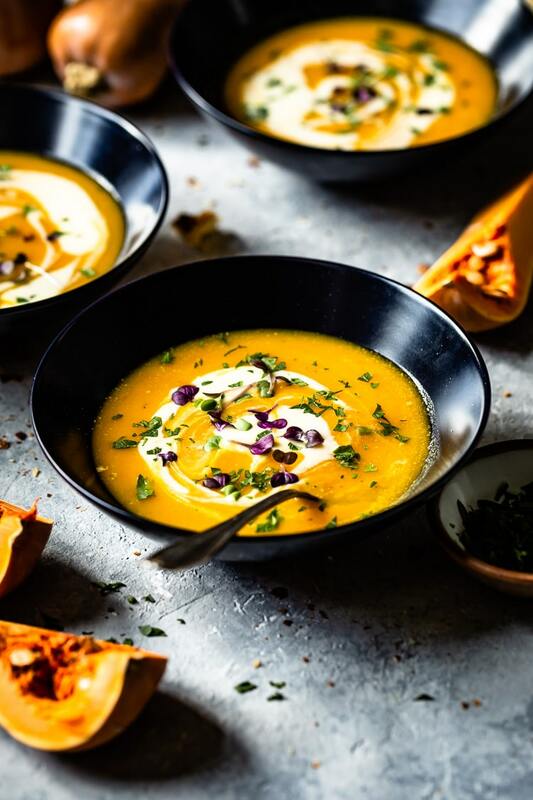 Butternut squash, tart green apple, and mirepoix combine for a beautiful golden soup here, and I’m sure coconut or oat cream would work in place of crème fraîche if you can’t have it. Get the recipe here. 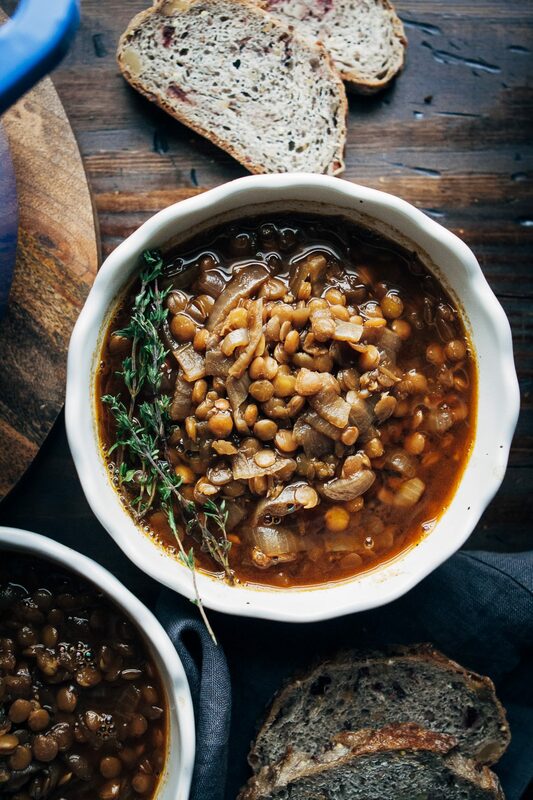 French onion soup is amazing, and Sarah has lightened things up here without reducing the coziness by leaving the cheese out and adding lentils to make it a meal with less than 10 total ingredients. You can also use this as a gravy, which is pretty neat. Get the recipe here. Surprisingly simple ingredients and loads of flavour, with creaminess and extra protein from the peanut butter. This soup is worth making for the broth alone. Get the recipe here. A very familiar recipe for anyone with northern/eastern European roots, but with nutrient rich beans in place of the more traditional pork. 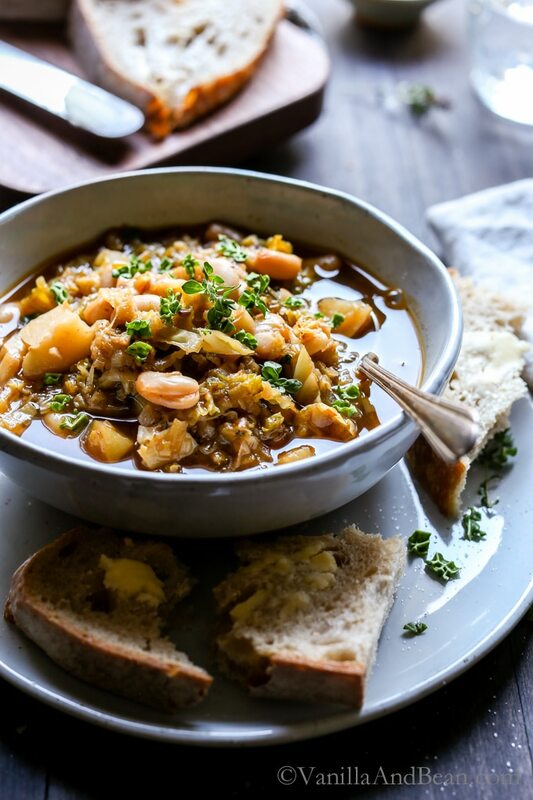 I grew up eating this type of soup and this version looks perfect, with simple, seasonal ingredients. Get the recipe here. Not directly a soup recipe as is, this is an excellent base to use for any of the soups on this list. 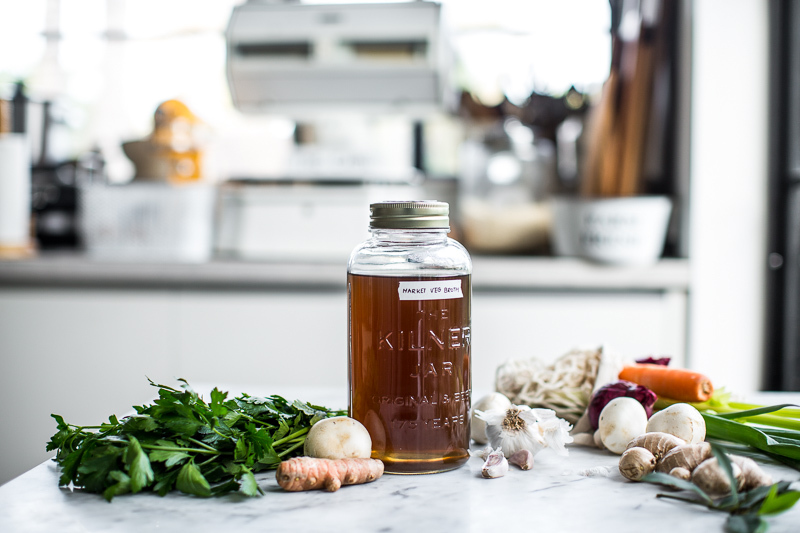 This broth is a bit more complicated than my standard veggie stock recipe, and it tastes excellent on its own if you need a good broth to help get over a cold. Get the recipe here. This is one of the more complicated recipes on the list – with fresh lemongrass, red chili paste, and birds eye peppers. If you cook Thai food frequently, you’ll likely have all of the ingredients on hand, and it’s a nice warming winter soup. She suggests a few add-ins and I think mushrooms would be particularly good. Get the recipe here. Cauliflower, potatoes, and beans all blended up with some basic ingredients and topped off with dark rye bread croutons. If this isn’t winter coziness, I don’t know what is. Get the recipe here. 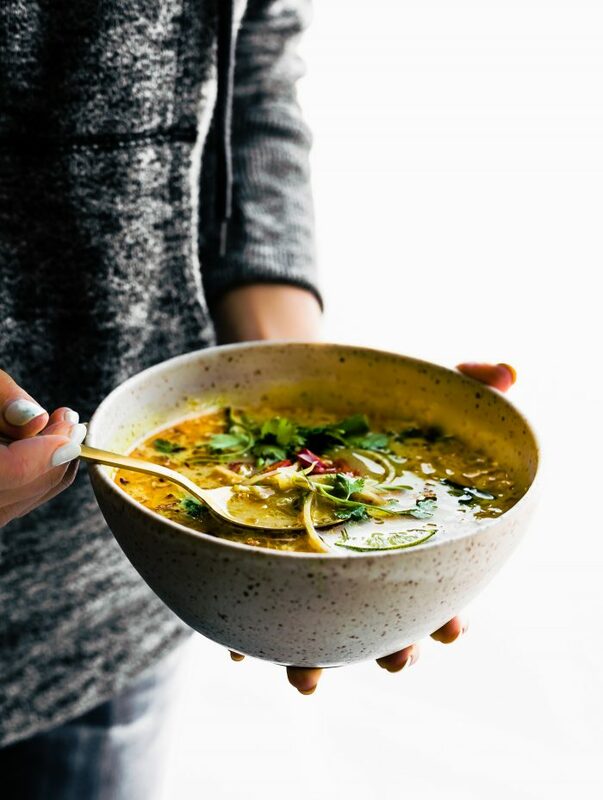 This soup is built on a base of spicy white pepper broth, and with plenty of fresh ginger and garlic in the mix, it’s just right for alleviating winter sniffles. 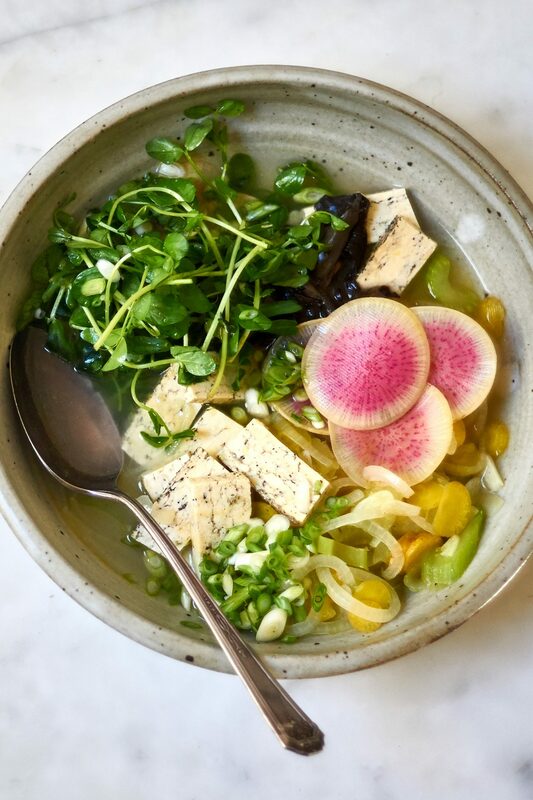 The vegetables are barely cooked and a bit of an afterthought, as the broth is the real star. Get the recipe here. 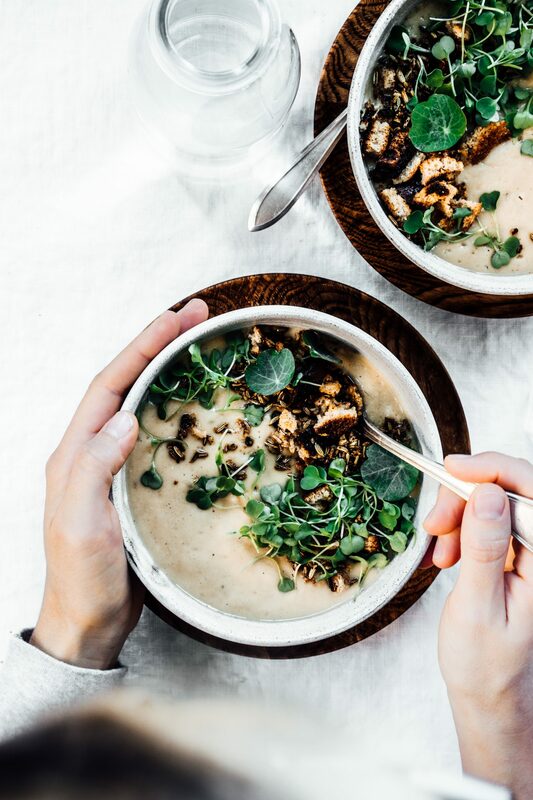 Parsnip, leeks, and celery seed round out this beautiful winter soup, with a hit of wine to bring in a more intense savoury flavour. Get the recipe here. 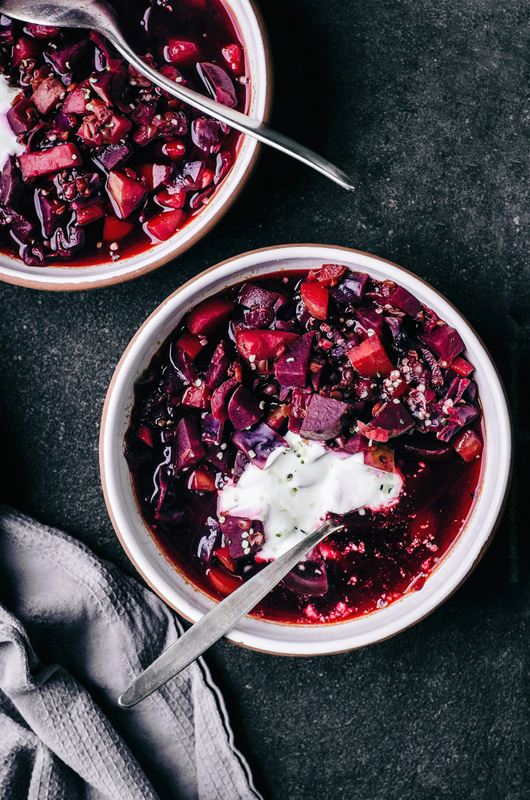 A healthy, plant forward take on beet soup, with chewy lentils, red cabbage, and potatoes. 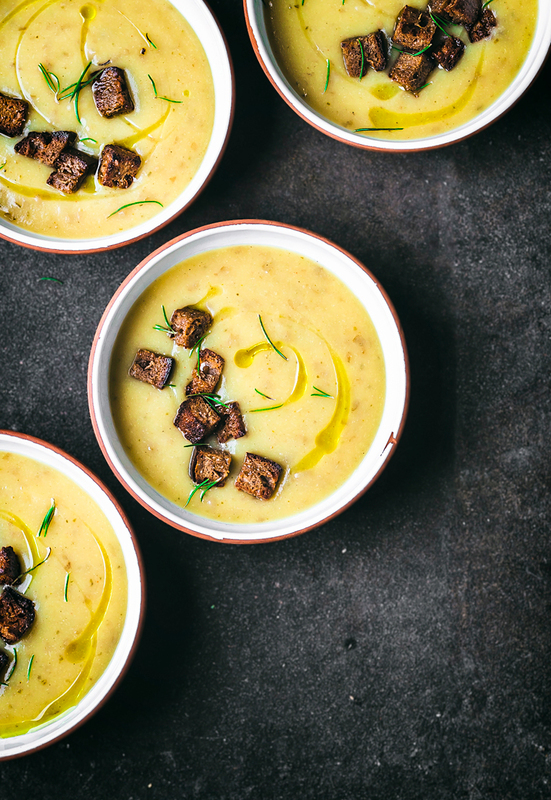 Dijon mustard and balsamic vinegar round out this soup along with traditional dill. Get the recipe here. 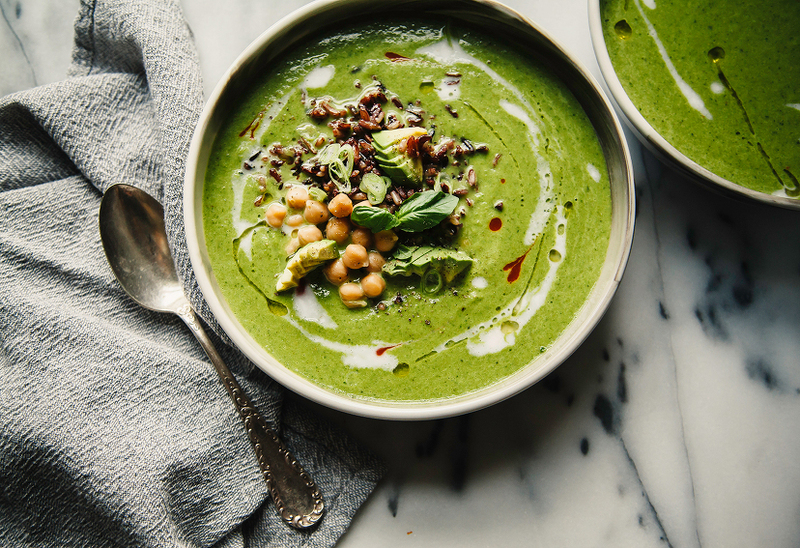 A very vibrant wintery green soup, with broccoli, spinach, and parsley – again with a little white wine to add complexity. Get the recipe here. 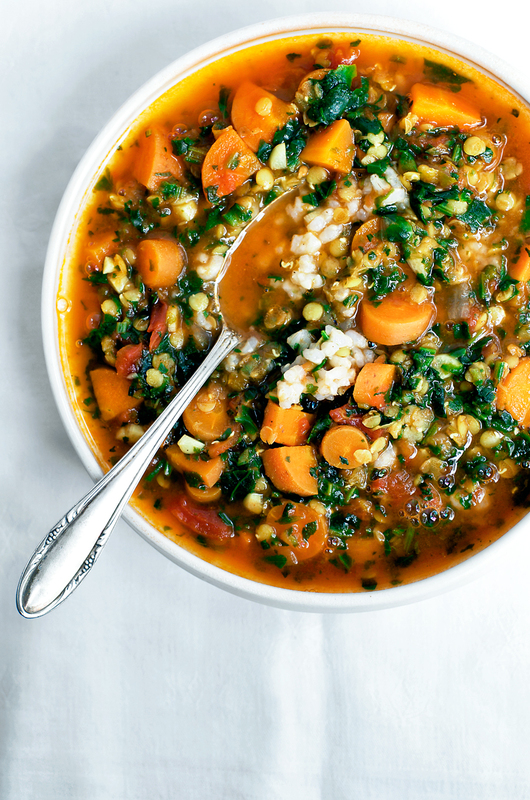 Detox, in this case, just means healthy, not laxative shakes – and this veg-packed lentil soup is certainly good for you, with plenty of colourful vegetables. Get the recipe here. 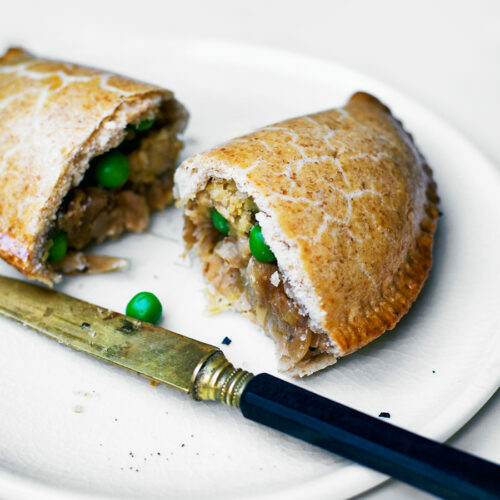 Another seasonal OE favourite, also using easy pantry staples. 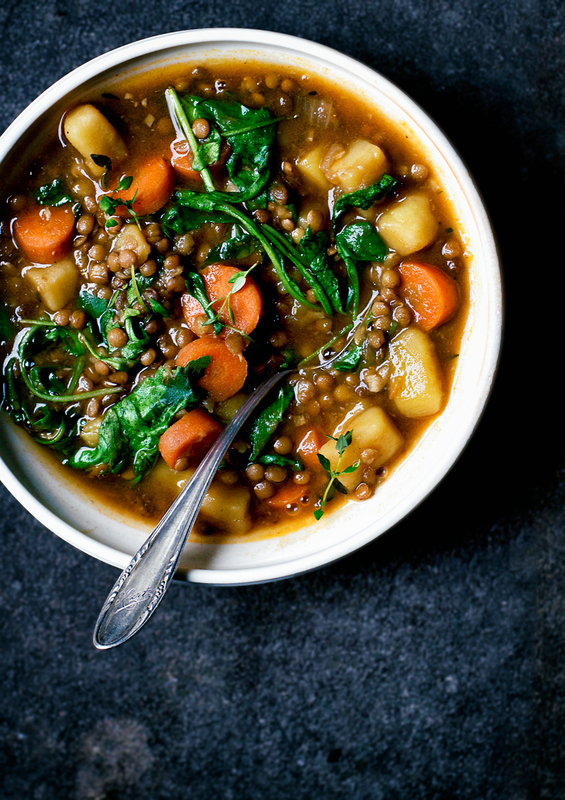 This time, potatoes, carrots, and lentils alongside fresh or frozen winter greens, and a good bit of mustard to brighten things up. Get the recipe here. 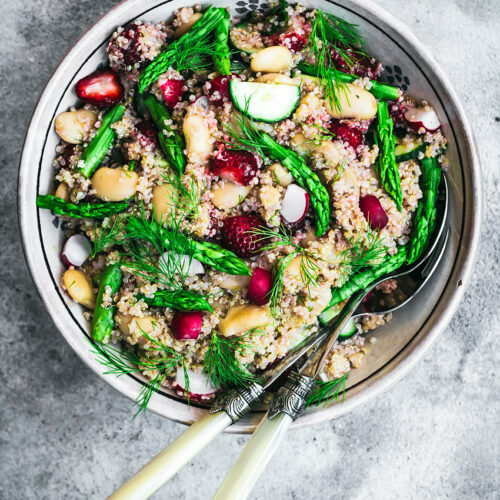 This uses fennel seeds instead of fresh, so no worries if you’re not sure when to find a bulb of fennel. With a whopping four cups of beans to serve four people, this is a very filling soup indeed. Get the recipe here. Apart from zucchini – which Laura provides a substitution for – everything in this soup is very winter friendly. 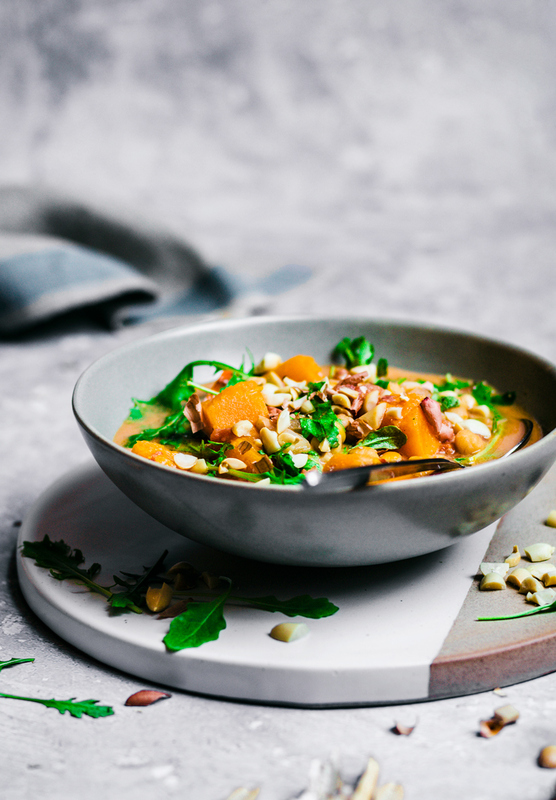 A good bit of ginger, cumin, and coriander adds a south Asian flavour along with the coconut milk in this creamy soup. Get the recipe here. 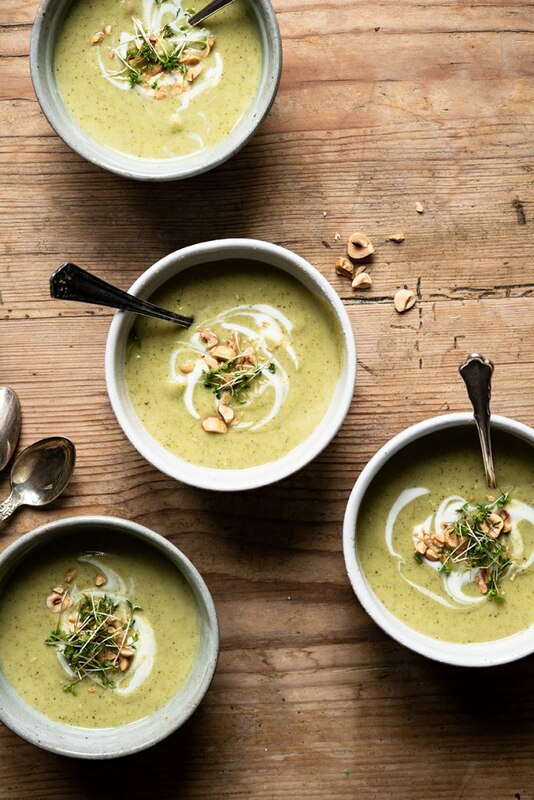 Almond butter and roasted hazelnuts add an unexpected flavour to this light green soup, also with a base of creamy coconut milk. Get the recipe here. After forgetting about this recipe for a year or so, I was recently reminded how much I love it. It’s nostalgic and delicious, just right when you need a bit of a pick-me-up. 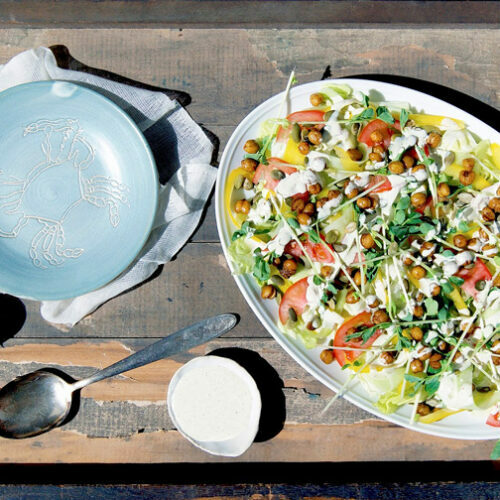 It’s also just as good without the parsley if you don’t have any on hand, and I often leave the kohlrabi out. Get the recipe here. 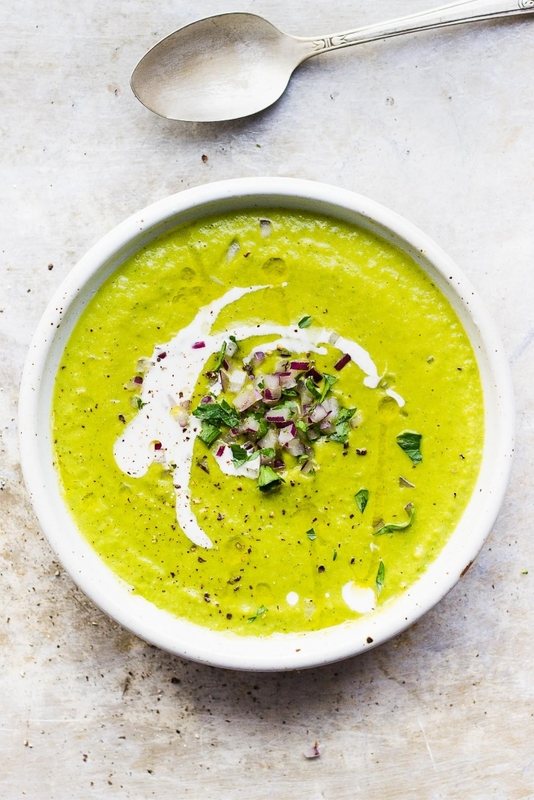 What an incredible round up of winter soups. Thank you so much for including one of my recipes amongst all these incredible creatives within our community. 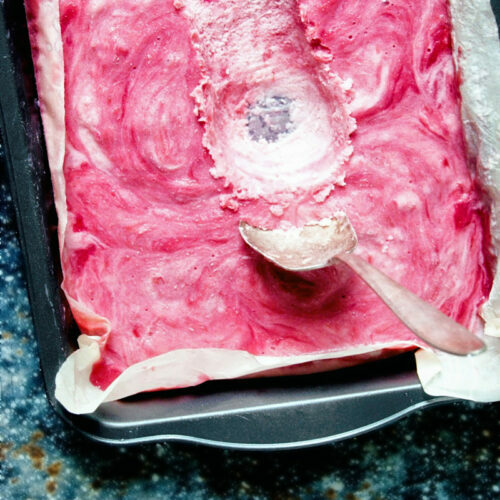 Thanks so much, Aysegul, and thank you for your beautiful recipe!